Apart from terminal World of Warcraft addicts who have lost all contact with the outside world, most PC enthusiasts could hardly fail to notice the ever tumbling cost of LCD screens. For some time, widescreens in the 20- to 22-inch space have been affordable enough to make a multi-monitor setup seem like a no brainer. Recently, however, prices have plummeted to such an extent that it almost makes sense to pick up the odd spare screen for occasional triple-panel fun or for use now and then with a laptop PC. But depending on the capabilities of your PC, actually doing so might be tricky. Certainly if you have to go to the expense and hassle of picking up an extra graphics card for your desktop to allow for a third monitor, the whole idea looks a lot less attractive. Things get even more complicated with laptops. Perhaps yours has extremely poor integrated graphics and an analogue VGA port that can't cope with modern widescreen resolutions, for instance. Well, there's an answer to all these woes, and it's known as DisplayLink. The concept is simple enough: to use a standard USB 2.0 interface to wire up a digital display. 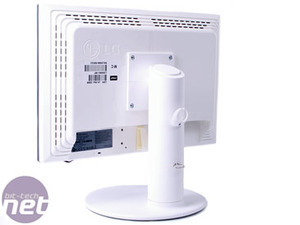 In theory, DisplayLink enables you to hook up a monitor to any PC courtesy of nothing more than the USB port and a painless driver installation. The details get much more complicated in terms of how the technology compresses and transmits the image data via USB. 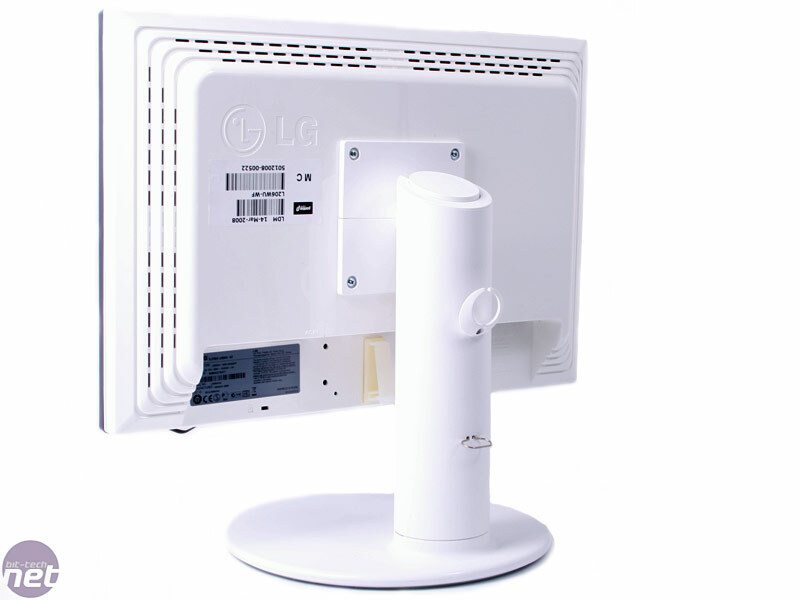 There are also various different flavours of DisplayLink in development, including a wireless option. But the main thing to appreciate is that it's the CPU rather than GPU that handles the workload. As we'll see, that's not much of an issue for a modern multi-core system in terms of raw horsepower, but it is worth bearing in mind when connecting to a laptop with a weedy low-voltage processor. Anywho, that is all mere context. 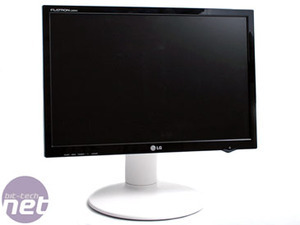 The actual star of this review is LG's L206WU. It's a 20-inch widescreen display that is pretty conventional in most regards but the one exception, you will not be surprised to learn, is the presence of an integrated DisplayLink interface in addition to the usual suspects. A few disparaging comments have appeared on ye olde interwebs regarding the L206WU's appearance. White plastic is always an opinion divider, thus the stand on this display will be an acquired taste for some. 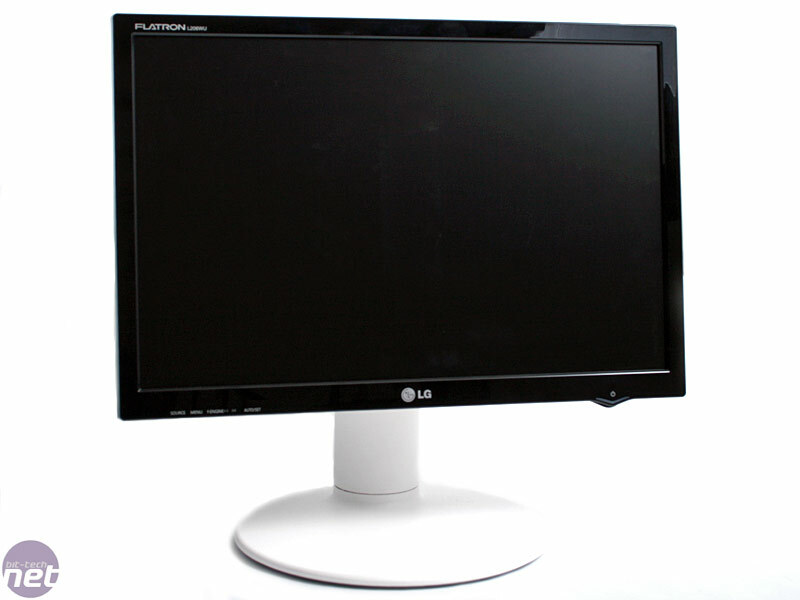 At the very least, it lifts this monitor above the utterly anonymous norm in the affordable monitor market. As for the screen enclosure, there's little to fault; it's neat, stylish and compact as the glossy bezel also adds just a touch of welcome pizazz and on balance, this is certainly one of the more distinctive 20 inchers out there. It also benefits from the full gambit of height, pivot, tilt and rotate stand adjustability. As for the panel itself, it's a standard 16:10 aspect item with a conventional 1,680 x 1,050 pixel grid and combined with a TN+Film technology that typically translates into fast response but otherwise rather mediocre image quality.